This gorgeous tulip and daffodil toddler apron is just perfect for the spring. The colors are so bright and vivid. 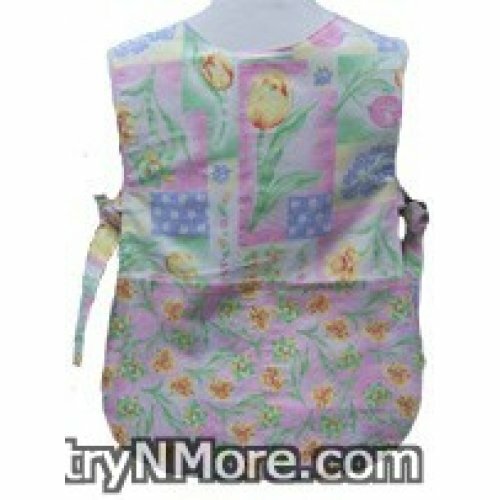 The pocket and straps are made using a coordinating daffodil fabric. The reverse side of this cobbler apron is made using the all over daffodil fabric, with the pockets and straps made using the tulip and daffodil print. I also have this adorable cobbler apron in adult size. 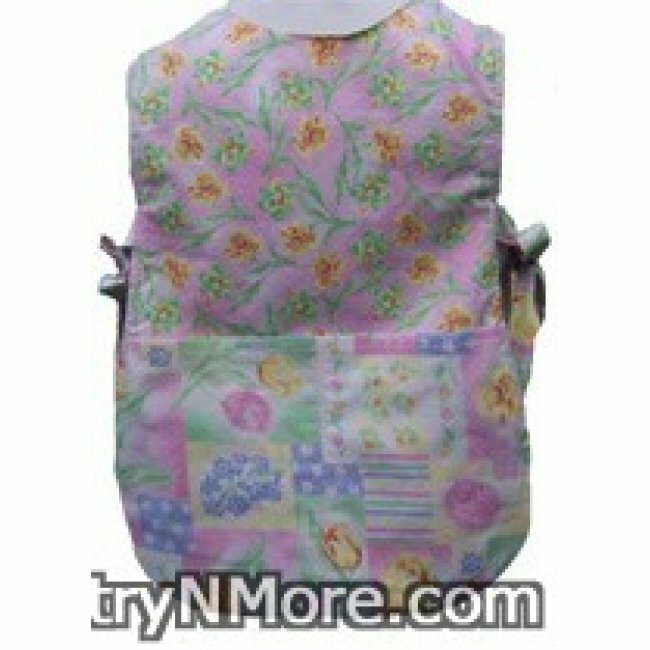 Reversible Cobbler Apron measures 19 inches in length.